If you're looking for a gift for the holiday season, a birthday or another special occasion, consider gourmet dark chocolate. 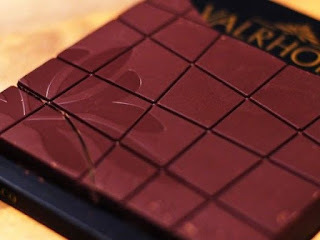 You can combine this kind of chocolate with other kinds as most people enjoy eating the sweet treat. There are a few different creative ways that you can give the gift of chocolate whether it's for a relative or friend. A basket is one of the easiest ways that you can give someone chocolate. Add tins in the boxes of various kinds of the treat, or create a display that is relevant to the reason for the gift. If it's Christmas, then consider arranging the chocolate to look like a tree. Add plastic wrap around the basket, tie a bow on the top of the plastic, and deliver the sweet gift. Another way to give the gift of chocolate is to get something that is made to look like a hobby or special interest that the person enjoys. It could be chocolate that is made to look like an animal or a purse for someone who likes to go shopping. Items that are made of chocolate often have intricate details so that they appear realistic, but they are edible. Personalized gifts are another idea. You can get a bag of chocolate with the name of the person on the label as well as some basic facts to make the bag stand out. Pictures can be added to the bag as well as a warm message. A face sculpture is an idea if the treat is for an employer or a person of importance. Add a small plaque to the front of the sculpture that gives a few details about the person. Almost anything that is covered in chocolate is a good gift. There are strawberries, blueberries, bananas and cookies. Get a few different items that are covered in chocolate, arrange them in a box or on a tray, and give a gift of chocolate bliss that can be enjoyed at any time. One option that some might not consider is drinkable chocolate. Some companies offer a type of wine that has chocolate blended with the drink. This is ideal for an anniversary or an engagement party.